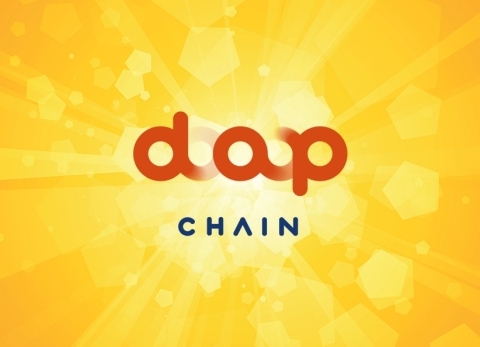 'DAP Chain' developed by DAP Network, one of subsidiary IT company of Data Gen, is considered innovative because it has a blockchain mainnet that can be commercialized such as the optimization of the blockchain service and API (Application Program Interface) development of the DApp. According to Coinmarketcap.com, IDAX has kept its position in TOP 10 largest crypto exchanges in the world, with more than $613 million trading volume and large volatility. DAP Coin (DAP) at is now drawing a triangle shape wave with the increased quantity of purchase and sale at IDAX, waiting for more DApps to adopt DAP Chain's hybrid blockchain. There are also some big news coming up, one of them is that a meetup will be held in Seoul with Finance Today, the largest economic media in Korea. At the event, DAP coin is expected to be distributed to all participant. Gen Service, the first DApp built by DAP Chain's own blockchain, will also be presented during the event. Since there are already investors, DApp partners and clients lined up including members of KAIST, known to be the most highly-estimated national research university in Korea, DAP coin is predicted to increase in value soon after the conference and airdrop event on 23rd. According to DAP Network, DAP Chain is different from its birth. This is because it is a proprietary mainnet developed from the beginning with diverse service ecosystem in mind when there wasn't even an idea of commercializing blockchain services such as DApp. Park also explained, "Mainnet is an independent platform that provides a foundation for creating various kinds of DApp as well as digital currency generation through the operation of a blockchain network system, which means building a proprietary DAP Chain ecosystem."